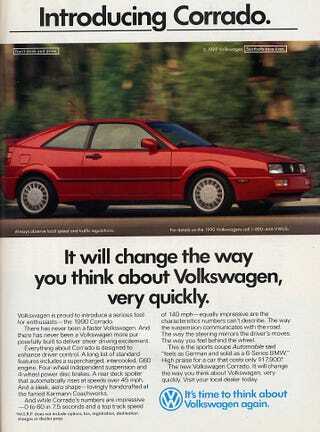 This is a Corrado ad, which is fun. Until you read it, then it's kind of boring. Oh well. Anyone have an idea for what should be COTD?